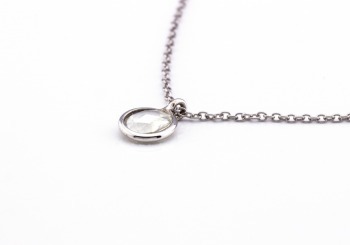 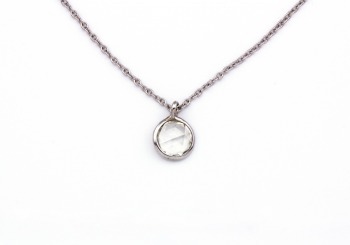 This simple necklace features a bezel-set rose-cut Diamond pendant on an adjustable 18K white gold chain. 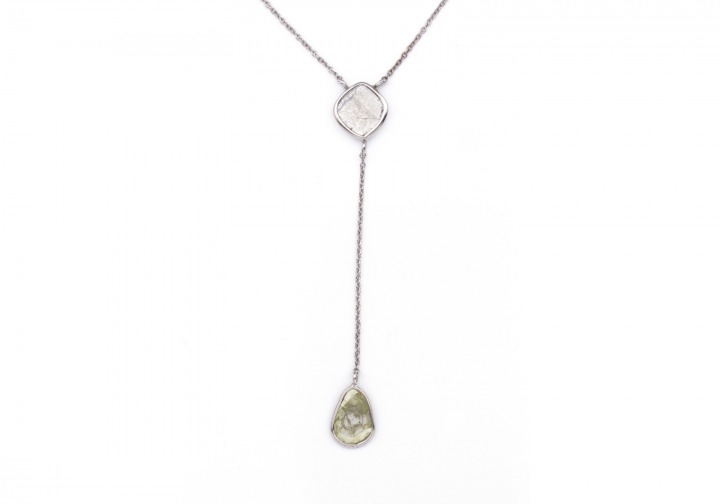 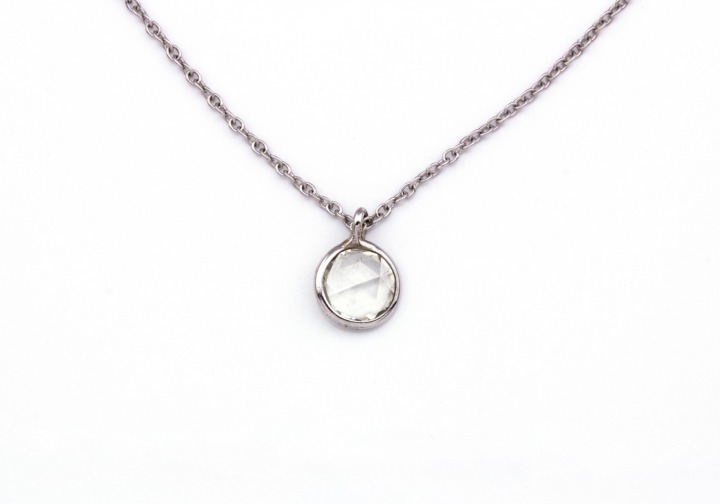 Industrial-grade Diamond slices are the feature of this necklace! Bezel-set in 18K white gold, this piece is modern and versatile with an adjustable chain.